The United Nations University (UNU-WIDER) Visiting Scholars Programme 2018 is now open for applications. The UNU-WIDER Visiting Scholars Programme gives qualified scholars an opportunity to research topics related to development and/or global economic issues, and to participate in UNU-WIDER activities. 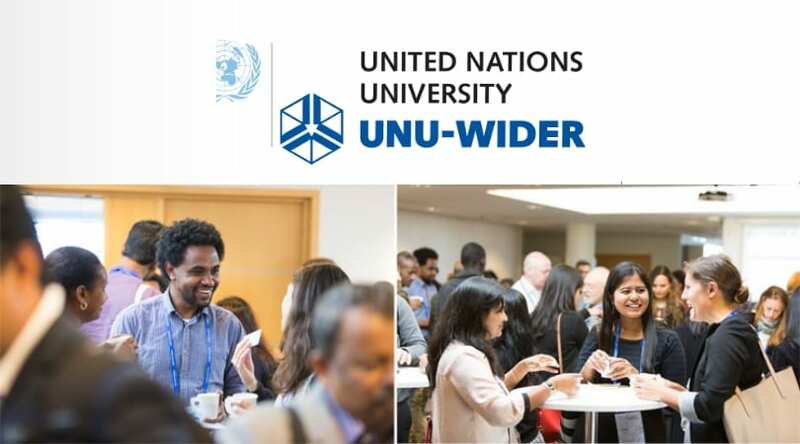 Scholars typically spend a 2-3 months ‘sabbatical’ at UNU-WIDER. During this time they prepare one or more papers to be considered for publication in the WIDER working paper series, and present a seminar in their field of research. UNU-WIDER provides medical insurance (for medical and hospital services resulting from sickness and accident during your stay at UNU-WIDER), and a monthly stipend of EUR 2,650 as a contribution towards travel, visa, accommodation and other out-of-pocket expenses. Visiting scholars may apply for a supplementary grant to cover high travel costs (incl. visa) if they exceed EUR 1,200 (lowest economy class fare). Applicants should have a PhD degree in economics or a development-related discipline. A good publication record is an added advantage. They prefer applicants whose research overlaps with our current research programme, but they remain open to proposals on all aspects of development. Please note that the link to the online application form will only become active one month prior to the submission deadline (i.e., on1 Septemberof each year). Selected applicants will be informed by email ofthe final decision within four weeksof the closing deadline. The selected applicants must confirm their decision to take up UNU-WIDER’s offer two weeks after being contacted. As part of your application, you will be asked to upload your curriculum vitae. If you experience problems with uploading this document then it can be emailed to the following address: scholars1(at)wider.unu.edu.